Since its inception in 1941, Jeep has been known as the most capable vehicle produced. That's both on the road and off-road, in Sacramento or anywhere else. But being the most capable vehicle doesn't exempt your Jeep from needing regular care and the occasional repair. Precision Automotive Service is more than capable of addressing those needs. Our team of ASE-Certified technicians is equipped to repair the most off-road capable Jeep to the one stuck in the concrete jungle. From electrical issues to mechanical breakdowns, our staff will help you go anywhere and do anything. 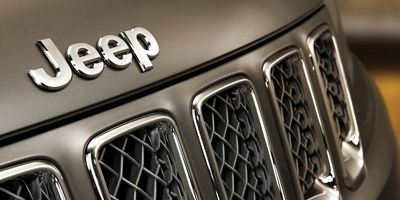 Jeep repairs and service always include Jeep Original Equipment, MOPAR, or quality aftermarket parts and accessories. Our ASE-Certified technicians follow the Jeep-recommended maintenance so you experience the comfort and conveniences your Jeep has to offer. Precision Automotive Service is your experienced, affordable Jeep repair shop in Sacramento so you can Go Anywhere, and Do Anything.